We are often asked why we use Hikvision considering it is a Chinese product. In short because of overall value for money vs resolution vs reliability. It appears we are not the only ones. 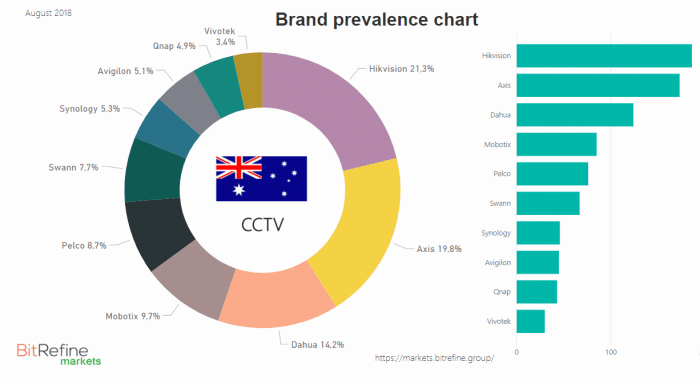 I stumbled across the following information comparing CCTV manufacturers and thought it was very interesting……..
FYI I was surprised Axis is second in Australia as a 5MP dome cameras costs approx $ 1000 – so suspect they are being used by Government, Defence, Banks, Universities, etc. If you are considering Security Cameras please don’t hesitate to contact us.